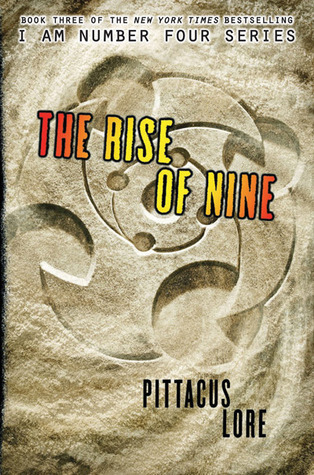 The Rise of Nine is Book #3 in Pittacus Lore’s Lorien Legacies series (the first two are I am Number Four and The Power of Six), about teenage aliens with superpowers destined to save the world. 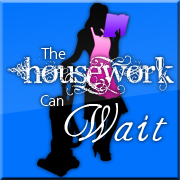 If you have read my blog for more than about five minutes, you know that this concept holds massive appeal for me. Teen aliens with superpowers are awesome (as an aside, if you agree with that statement and haven’t watched Roswell yet, you need to get on that, stat). And while I think the Lorien Legacies are kind of cheesily written and won’t be touted as Great Literature anytime soon (or ever), they’re still a high-energy series of books that completely succeed in keeping me thoroughly entertained. And honestly, in a series about teen aliens with superpowers that’s ghostwritten by an alien, I’m pretty sure entertainment is the sole purpose. Until the day I met John Smith, Number Four, I’d been on the run alone, hiding and fighting to stay alive. Together, we are much more powerful. But it could only last so long before we had to separate to find the others. . . . I went to Spain to find Seven, and I found even more, including a tenth member of the Garde who escaped from Lorien alive. Ella is younger than the rest of us, but just as brave. Now we’re looking for the others–including John. They caught me in New York–but I escaped. They want to finish what they started. But they’ll have to fight us first. Although the synopsis is written from the POV of Number Six, The Rise of Nine actually shifts between three POVs: John Smith (Number Four), Number Six, and Marina (Number Seven). I’m wondering if this is going to become a thing with this series. Book #1 had one POV, Book #2 had two, and now Book #3 has three. But because all of the POVs are written in the first-person and the voices really aren’t that different, it can start to get confusing. I kind of hope Book #4 reins it in and doesn’t add yet another POV to the mix. Speaking of which, I totally thought this was a trilogy until I realized I was at the last chapter and there was no way things were going to resolve by the end of the book. Which is mostly fine, but there’s a couple plot points I can’t believe are still dangling, including the whereabouts of my favorite character. In case anyone wonders, apparently there are going to be six books. Which you probably already knew, but I didn’t. But anyway, moving away from that, let’s talk about the book. So as I said, there are three POVs. And I’m not entirely sure they were necessary. Marina and Number Six’s voices were kind of interchangeable, until they get split up and you can tell who’s speaking based on the setting. However, that’s a pretty late-stage development, and I don’t think we needed to stick with Marina through it. Probably just John and Six’s voices would have sufficed and been less confusing. It wasn’t really a bad thing, just sometimes hard to figure out who was talking. I had to back up a page on several occasions to double-check the narrator. As for the plot, it had all the crazy action I’ve come to expect from this series. I loved the addition of Number Nine and Number Eight to the mix. They provided some fun new powers and personalities, and I got excited every time another member of the Garde joined the group. We didn’t really learn much more about Lorien’s history in this book, which was kind of sad (I love learning about Lorien), but the increased action made up for it for the most part. I am a sucker for awesome new superpowers and gadgets and giant explosions, and there are plenty of all of the above. The best thing about this series is the action, and this book really played to its strengths. 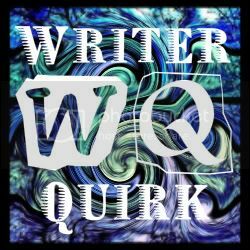 Getting to the writing, even on the sliding scale that I use to judge writing (I’m not going to hold an action book about teen aliens to the same standard as high fantasy), I had one major gripe about the writing. Actually, it’s not major. In the grand scheme of things, it’s minor. But it irked the heck out of me. And that is the phrase “with my telekinesis” and all its variations. And about a thousand other mentions of the Garde using their telekinesis to move, lift, throw, tear, float, and otherwise manipulate their surroundings. I have absolutely no problem with the fact that all of the members of the Garde have telekinetic powers and that they use them all the time. I would too, if I had telekinesis. But since this is a thing that all of them can do, and they all use it like another extension of their body, constantly reminding us that they’re doing it with their telekinesis is redundant. If you’re ripping a helicopter from the sky, and I know you have telekinesis, I’m pretty sure you’re not doing it with your nose. It’s like saying “I kicked the ball with my foot” or “I picked up the book with my hand.” You don’t need to tell us what part of your body you used to do something. It’s assumed. Stop telling me that you are doing things in the only practical way you could do them. Okay. Rant about telekinesis over. Aside from that, the writing flows well, the pacing is good, and the action scenes (which are a good chunk of the book) were exciting. I enjoy this series with the same part of my brain that enjoys Michael Bay movies (admit it. Transformers was super fun). I still don’t really understand the title (we found out in Power of Six that there are actually ten Garde members, three of which died at the beginning of I am Number Four, and we met Number Nine at the end of the last book and he doesn’t do much “rising” in this one. It’s a mystery), but I don’t care too much. This isn’t a big “thinking” series. It’s about superpowers and explosions and adrenaline, and I highly enjoy it. This entry was posted in Review, Science Fiction, Young Adult and tagged action, garde, i am number four, lorien legacies, pittacus lore, power of six, rise of nine, sci-fi, science fiction, telekinesis, young adult. Bookmark the permalink. I’ve always been kind of curious about this series. Great review – I feel like I have a better sense of the books, now. I totally agree. And, on the writing, I thought the romance was just hilarious-I kissed her. End of story. Overall, it was okay. Glad to hear you liked it!